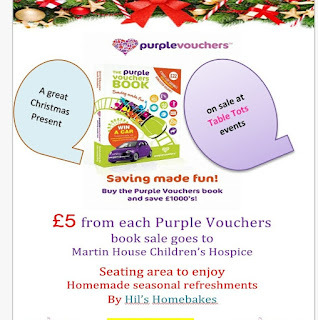 I have recently been sent a Purple Vouchers Book and if you live within the Leeds, Wakefield and Doncaster area it could really benefit you. I have been telling all my friends and family about it and have suggested to them it would make a great Christmas gift. So the book is full of great discounts and free entry into some amazing places. Each book has a membership card that you need to show when using the vouchers. When you register your card online you are entered into a competition to win a car as well so just think you could win a car just by saving money. Table Tots, Andy and Jude provided me with this book as they are promoting it and selling it at events and on their website website. 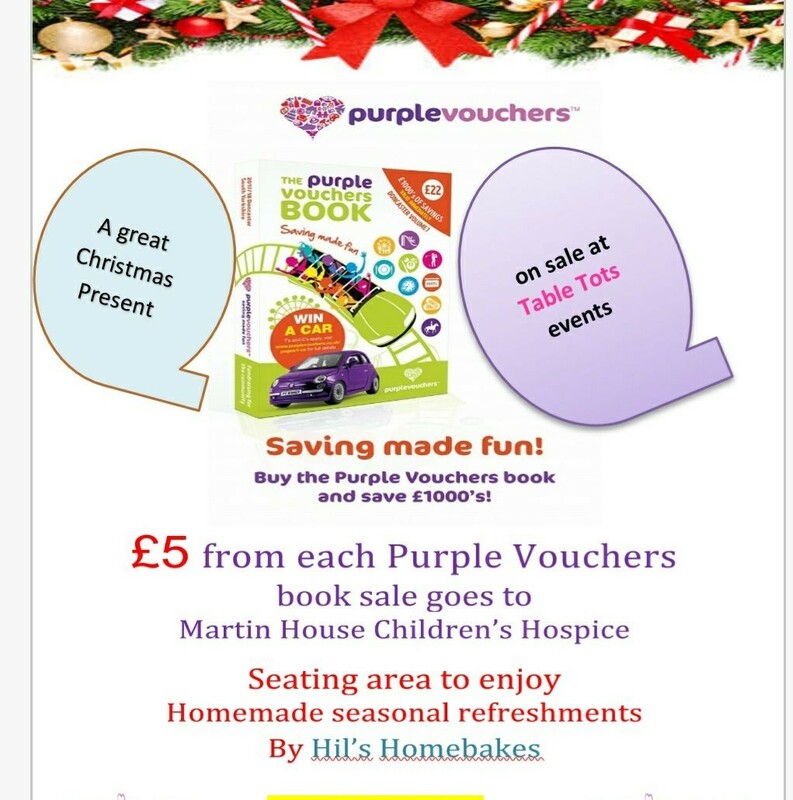 The Purple Vouchers book can be purchased at Table Tot's sales with £5 from every book purchased going to charity, Martin House Children's Hospice. If you are unsure of what Table Tot's is it an independent event organised in Yorkshire with more than 60 events a year, Baby and Children's sales, indoor markets, Christmas craft fairs and New Winter indoor boot sales. 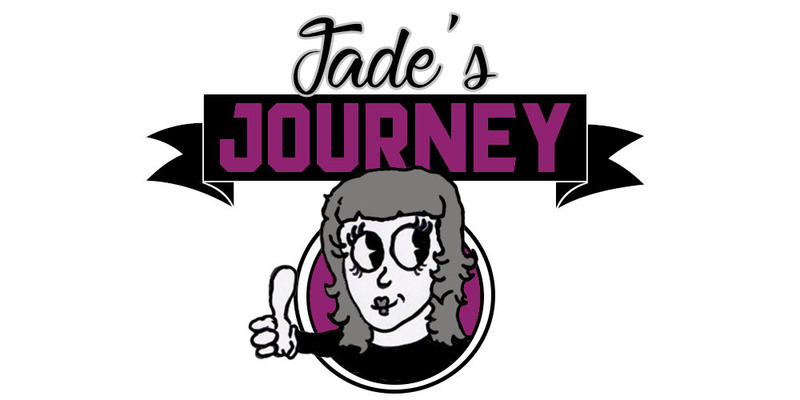 I will be posting more about Table Tot's as I'm due to have my first ever selling experience with them, I'm usually just buying everything so it is something I'm looking forward too. You can find a list of all the up coming Table Tot's sales here.